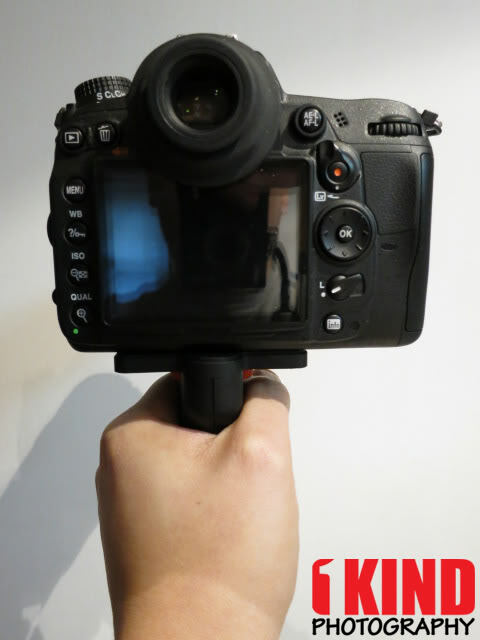 Overview : The new Photography and Cinema Pistol Grip is the only camera handle grip available with a wide platform. 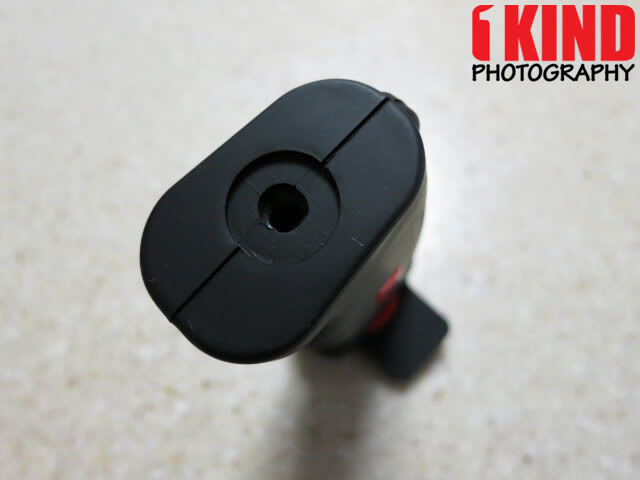 The large plastic molded handle makes working with small cameras more ergonomic and stable when shooting video. A rubber platform prevents slippage when the camera is mounted to the stage using the standard 1/4x20 threaded stud. 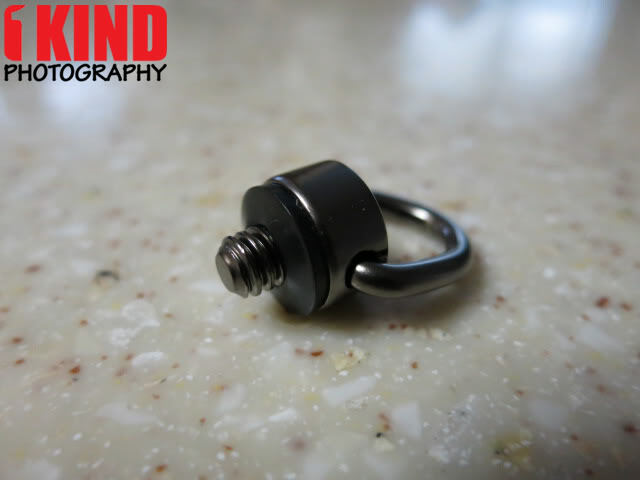 The included threaded D-Ring allows the PNC Handle to be attached to a carabiner which in turn can be hooked onto keyrings, keychains, belt loops, etc. A small metal insert below the handle allows you to attach a PNC friction arm for carrying an extra accessory such as an LED light, Microphone, or Portable audio recorder. 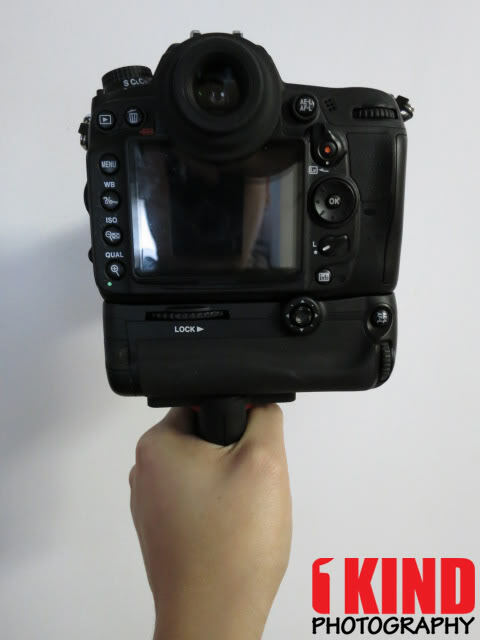 Using two grips and a friction arm will create a nice hand held stabilizer for your small video cameras. Quality/Usability : The pistol grips on the market are narrow at the top which are geared more towards camcorders since they aren't as wide. These days we are using point-and-shoot, micro 4/3 and even DSLR's to shoot HD video. With these types of digital cameras, they are wide. On a narrow grip, there is barely enough support. 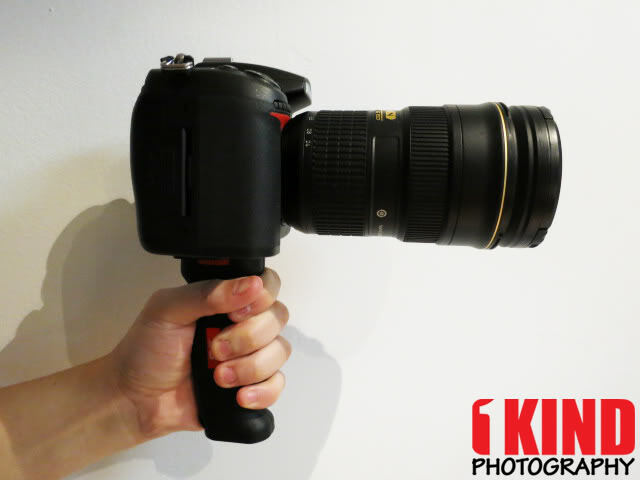 So Photography and Cinema (PNC) has released a pistol grip that is not only for camcorders but also for digital cameras. 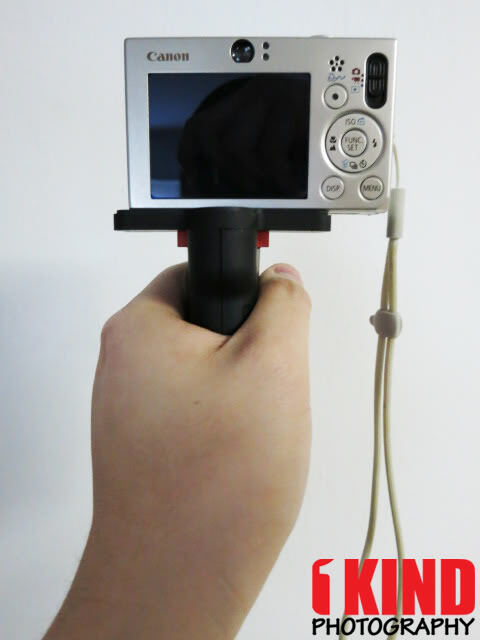 The grip is still narrow where it can support a camcorder but now, the grip has extended its base wider to accommodate digital cameras. 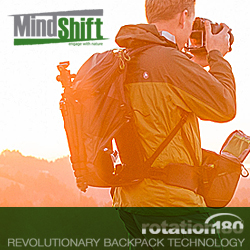 This gives better stability and support for when the camera is mounted. To prevent the camera from sliding, there is a rubber pad. 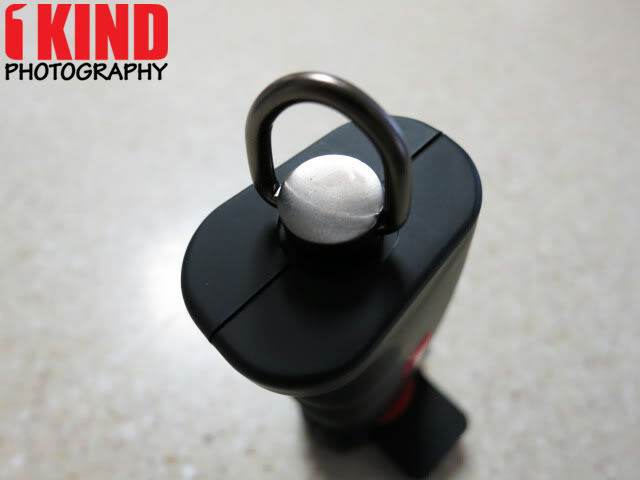 To mount the camera, simple place your camera onto the screw and turn the red dial clockwise to tighten it onto your camera or counter-clockwise to loosen it. 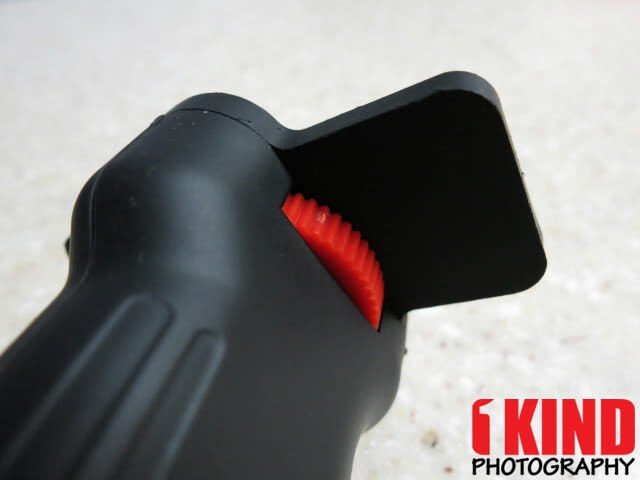 With a lightweight camera such as a micro 4/3 or point-and-shoot camera, you can hold the pistol grip with one hand. But when you mount a DSLR and lens with or without battery grip, its gets heavy. You can hold the DSLR with one hand but only for so long before your arm gets tired. So you'll need your other hand to help provide additional support. 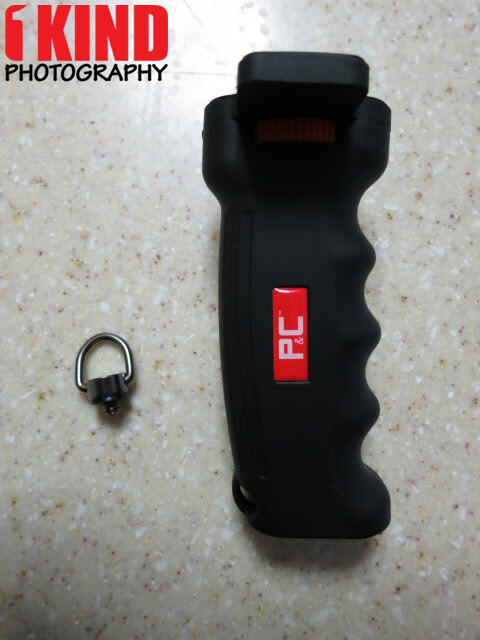 The bottom of the grip allows you to attached the included D-ring. With the D-ring, you can attach a carabiner that can be attached to your belt, keyring, backpack or camera sling strap such as the Carry Speed CS-Slim, CS-PRO. There's even a hole to thread a wrist strap. 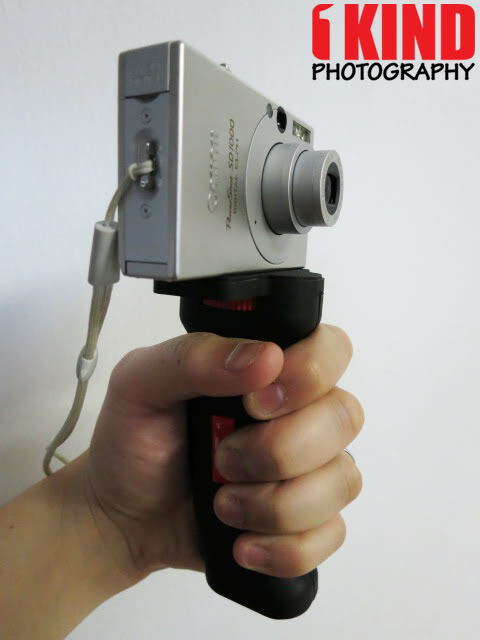 Conclusion : Overall, the Photography and Cinema Camera Pistol Hand Grip is very comfortable in the hands. 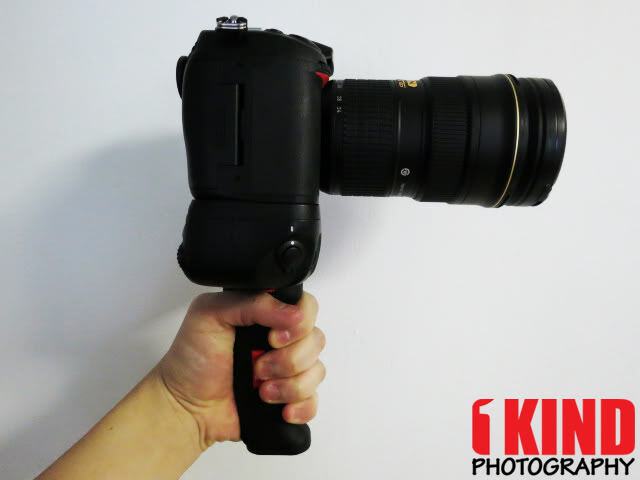 The pistol grip is very sturdy and able to support a DSLR with no problems. 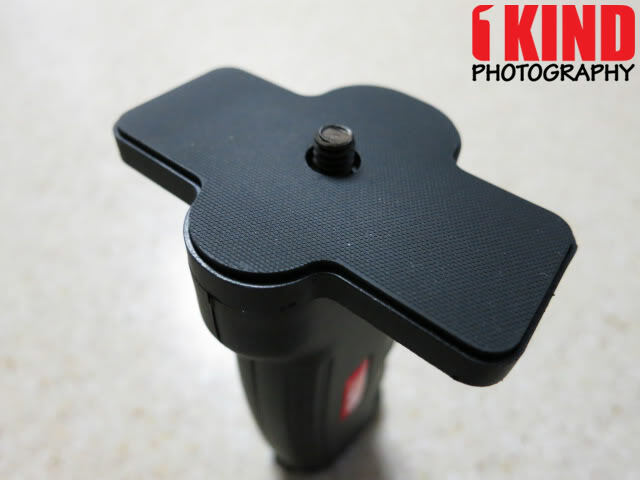 The threaded screw mount at the bottom is a nice feature which allows you to attach the included D-ring or even a sling strap for portability. 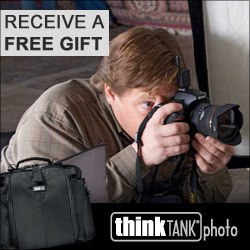 I can see myself using this more with my Canon PowerShot S100 instead of my Nikon D7000, since its small and portable. Taking a video with a small camera can get tiring on the hands and fingers. With the grip, I can hold my camera for a longer period of time. PNC also offers a package where you can purchase two (2) grips and 11" friction arm. This allows you to connect both grips together. One will hold the camera and the other will hold your accessory whether it be a microphone or LED light. This resembles a flash bracket but much more comfortable. See below for link to purchase.